Tibby’s, 2203 Aloma Ave, Winter Park, FL. Two more locations in the Greater Orlando area. 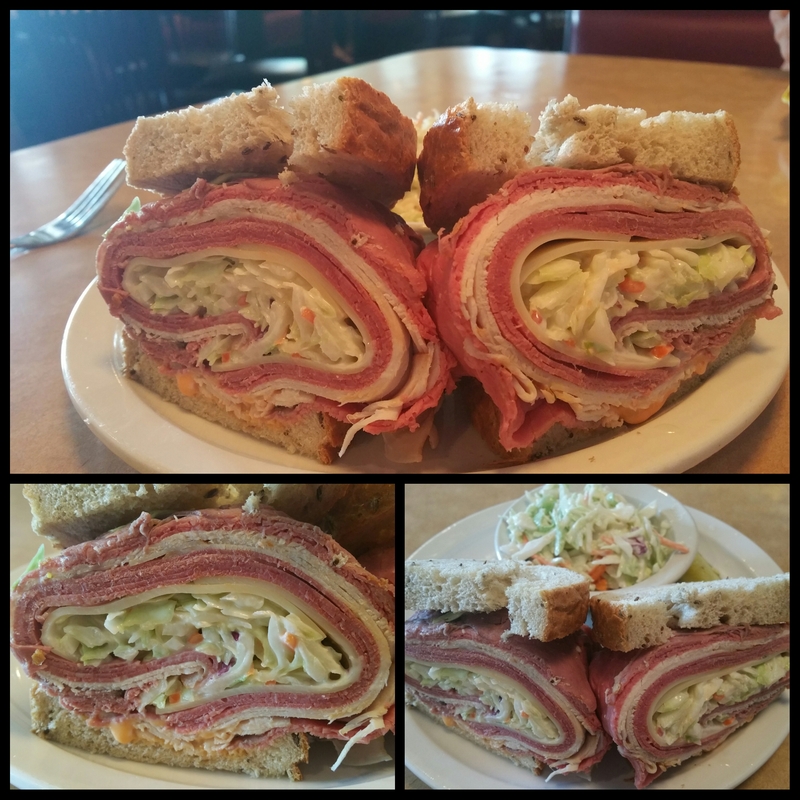 The saying, “Don’t judge a book by its cover”, couldn’t be more true than at the Tibby’s location in Winter Park. Set in a generic, blah shopping center, you open the double doors and are instantly transported to gregarious New Orleans. Quickly welcomed and seated by an upbeat and friendly staff, I took my time soaking in the Bourbon St style ambiance. They have a large menu to peruse, all with the N’awlins classics. A must-try today is the Muffuletta, one of my favorite sammies. It states it is just like the original from Central Market in NOLA, so I’m looking forward to this. On their special menu was an interesting “Munday” traditional plate, pork with red beans and rice. Needing a side dish, the New Orleans Potato Salad spoke to me. My server had a great idea for the Muffuletta, after asking if I wanted it hot or cold. Hmmmm, never had it hot, so she gave me half and half….of a half. Tip: A half of a Muffuletta is good size for 1-2 people. A whole is gigantic, so beware. Their Muffuletta is salami, ham, mortadella, olive salad, swiss cheese and provolone cheese all on a delightful bread that comes direct from New Orleans. I enjoyed this sandwich hot. The cheeses were melty, the meat flavor was more pronounced, and the olive salad makes a bolder statement. Huge flavor blast! The New Orleans Potato Salad was a divine side. Tender potato, eggs, bacon, sausage, olives, pickles, and onion. What’s not to like in that combo of delight?! I always appreciate green olives in my food, it just brightens an otherwise flat dish. Yum! The traditional Munday family dish of pork with red beans and rice was good. For my taste, it did need the Tibby’s Louisiana Hot Sauce on it. Next visit I’ll try the Gumbo, Etouffee,,or Poor Boy. You can’t visit a New Orleans style restaurant without ending the meal with a sweet treat, like Beignets….and of course that also means, Café Au Lait. Ooohhh yessss. Bring it on! I was sooooo freaking happy with this dessert. This is my breakfast when I’m in New Orleans, and just as cheesin’ to have it for dessert. Gently fried, light and lovely pillows of pastry and heavy-handed with powdered sugar expertly paired with Café Au Lait, was bliss. Actually, the guy that brought it out to me, shared a great tip. He said, he stirs some the powdered sugar from the Beignets into his Café Au Lait. Genius! It was scrumptious. I have no problem going back just for this as an afternoon treat. Although, they have Bread Pudding to try too. Oy vey! Great atmosphere, stellar staff, high quality traditional food. Worth stopping for. Hours: Mon-Thurs 11:00am-10:00pm, Fri-Sat 11:00am-10:30pm, Sun 11:00am-9:30pm. 4.25 out of 5 bright bold and bodacious bites!